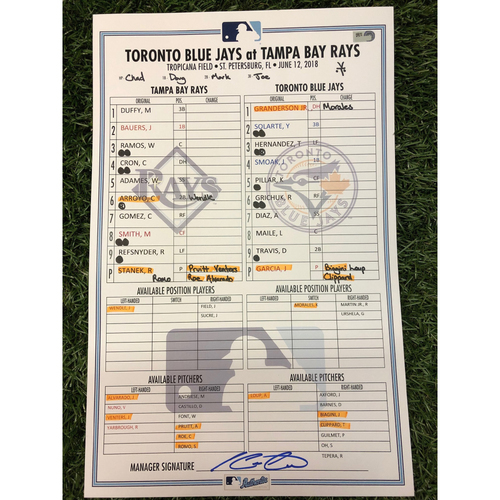 Game used lineup card authenticated by Major League Baseball. Please note that all items are sold "as is", sales are final and no refunds, returns or exchanges. Proceeds from the Rays auction benefit the Rays Baseball Foundation. If you're searching for something special from your favorite player please contact us directly at ksreid@rankandrally.com.